Rate of expansion within the industry – the rate of growth of the national dorper flock from humble beginnings based on the introduction of embryos in 1996 numbers have grown to an estimated 2 million. This achievement in a period or little more than 20 years during which total sheep numbers have dramatically declined to well under 80 million nationwide reflects the multiple advantages of the breed as a low maintenance lamb meat producing machine! Prime lamb production in semi-arid lands – There has been a dramatic expansion of prime lamb production into the dryer areas of Victoria, South Australia, NSW, Queensland and Western Australia because of the ability of dorpers and white dorpers to reliably produce prime lambs in these areas where no other breed has been able to successfully. 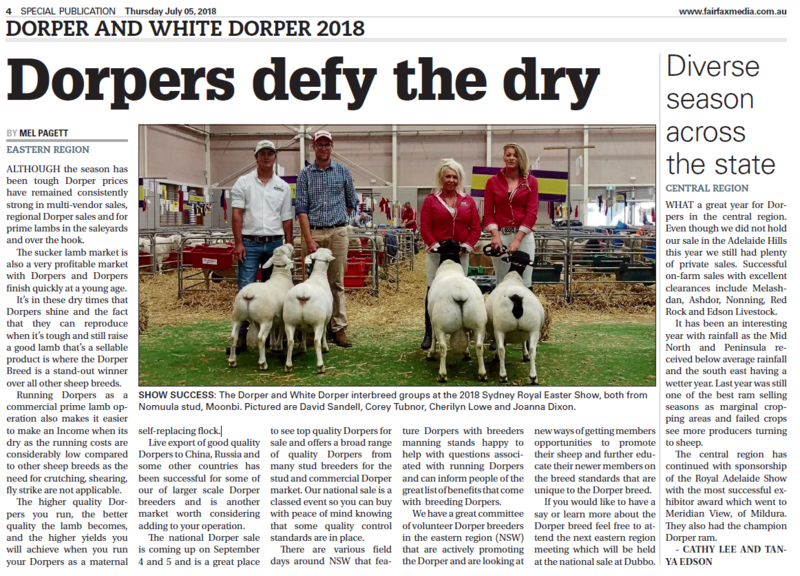 The ability of the dorper to thrive, and produce prime lambs with very low maintenance needs has often seen dorpers replacing merino flocks and returning viability to formerly economically marginal grazing operations. Many properties have been purchased for the very specific purpose of prime lamb production using dorpers which has seen renewed demand for properties in these areas. Click here to read an article about Dorpers ability to do well during the dry times. Organic Lamb Production – because the dorper and white dorper do not require shearing, crutching or fly strike control, maintenance requirements and chemical use are greatly reduced. Further in these drier areas many operators are able avoid any need for drenching for worm control and are able to satisfy the organic lamb market which often delivers a premium price as a further pay off on top of the greatly reduced maintenance costs and workload. Read an article about an organic Dorper lamb producer here. Superior Carcass Quality – Dorpers and white dorpers produce a superior carcass and excellent meat quality. The breed has a long history of success in carcass competitions across the country. To read an article in the Queensland Country Life on a Dorper producers success at the 2018 Ekka carcase competition, click here. 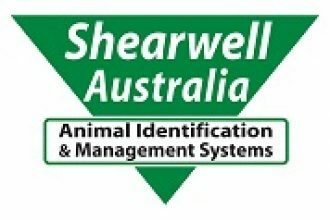 Animal Welfare Benefits – the breed does not require mulesing or tail docking both associated with fly strike control. Because the Dorper Breeds naturally shed their wool they are spared the distress of flystrike and the treatments to prevent flystrike. Dorpers also have a natural skin pigmentation that protects them from skin cancer. 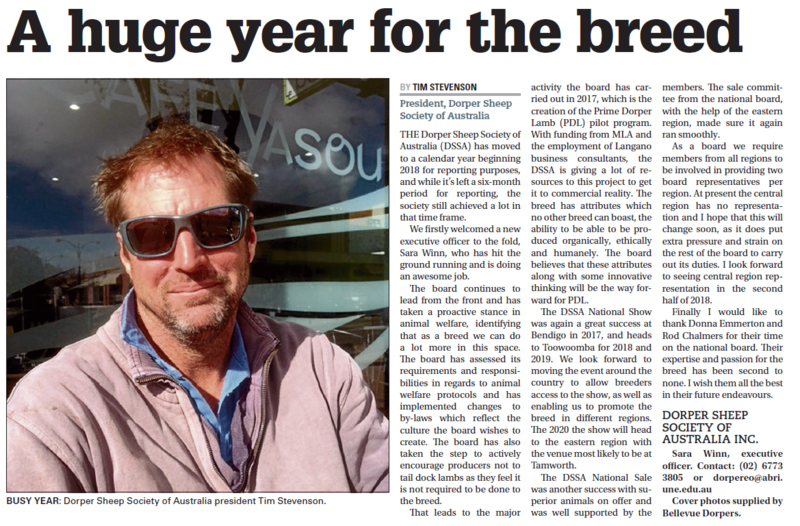 Click here to read comments in the 2018 liftout magazine on the DSSA’s proactive stance in animal welfare. Click here to read more information about tail docking in an article published in the liftout magazine. To read an article which includes how a farmer in Griffith has made the change not to tail dock click here.